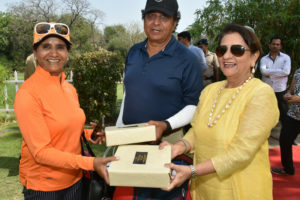 Chikkarangappa S kept Indian hopes alive with a brilliant third round effort of six-under-66 on the third day of the Hero Indian Open 2019 at the demanding DLF Golf & Country Club. The 25-year-old Chikka, an Asian Tour regular and two-time winner on the Asian Development Tour (ADT), is now placed tied sixth at six-under-210, five behind the joint leaders Julian Suri of the United States and Callum Shinkwin of England. Chikka’s third round exploits lifted him 35 places from his overnight tied 41st. 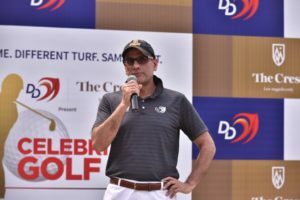 Two-time European Tour winner Shubhankar Sharma produced a hard-fought one-under-71 to move up four places to tied 15th at three-under-213 at the US$ 1.75 million event. 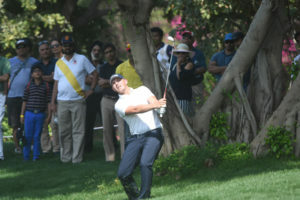 Chikka was five shots behind overnight leader Julian Suri who put his tee shot on the 18th into a hazard and found terrible lies with both his third and fifth shots to record a double bogey seven and fall back into a share of the lead with Callum Shinkwin of England, who is looking for his first win on the European Tour. 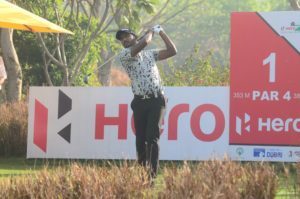 Two-time European Tour winner Shubhankar Sharma grinded out a hard-fought one-under-71 to move up four places to tied 15th at three-under-213 and he was the next best Indian after Chikka. 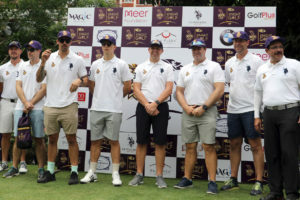 Among other Indians, Rashid Khan (72) was T-21 at two-under 214 and SSP Chawrasia (71), who lamented his cold putter and two three-putts, was one-over 217 and T-47th. 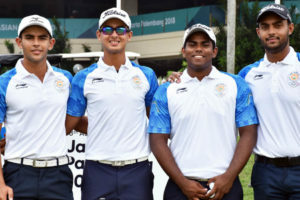 Other Indians are Ajeetesh Sandhu (73) at T-54, Gaurav Pratap Singh (73) at T-59, Gaganjeet Bhullar (72) at T-63rd and Rahil Gangjee (77) at T-66. Chikka, who looks up to fellow Bengalurean Anirban Lahiri, was par for the first two rounds and is now six-under for 54 holes. He is five behind Suri, whose father is Indian, and Shinkwin, who is playing on a sponsor’s invite. They are tied at the top at 11-under. 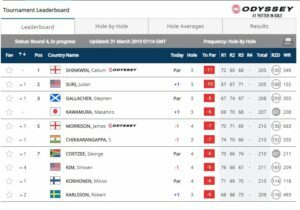 In between Japan’s Masahiro Kawamura, who recovered from a triple bogey on the eighth, shot a five-under 31 on back nine in a card of four-under 68 and is third at nine-under, while veterans Stephen Gallacher, 44, (67) and 49-year-old Robert Karlsson (73) are fourth and fifth. Chikka is part of a five-player bunch at Tied-sixth alongside James Morrison (69), George Coetzee (74), Matthias Schwab (70) and Mikko Korhonen (70). They are all at six-under 210. 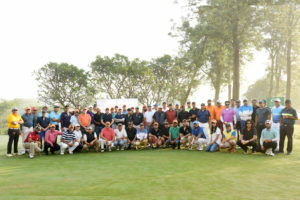 With as many as 10 players within five shots off the lead, the Hero Indian Open 2019’s final day is poised for an exciting finish after a tense play-off last year. Chikka (74-70-66) has had a recent coach change as he has started working with Laurence Brotherbridge, who is at Oxford Golf Club in Pune. 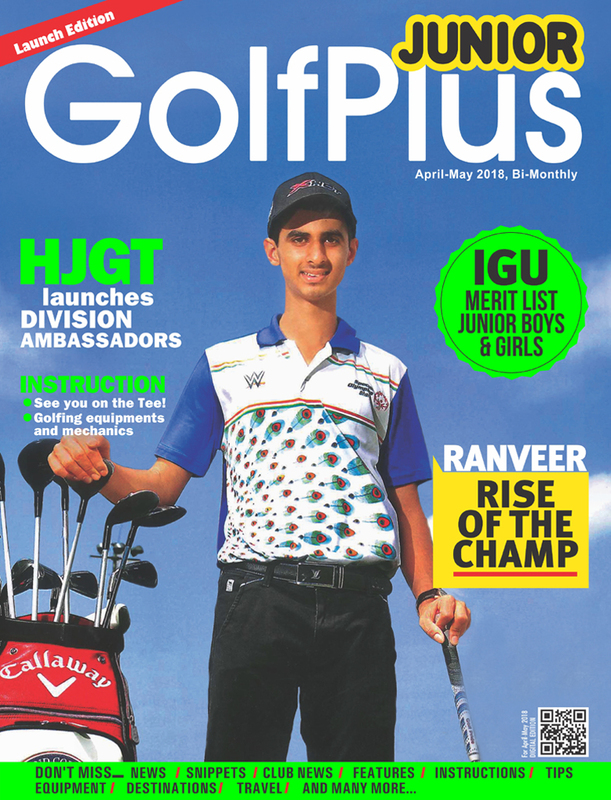 Since November last year he has seen a career revival and last five months have seen him win two events on the PGTI and he was also runner-up in Mauritius, which helped him seal his card in Asia for 2019. 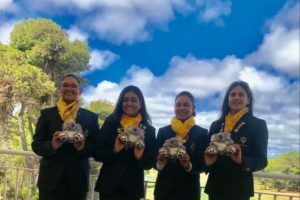 Chikka had a dream start with birdies on the first, second and fourth. He added four more birdies on the ninth, tenth, eleventh and thirteenth and he was seven-under when he got to the 17th, where he dropped his only bogey of the day. Sharma recovered well after an early double-bogey on the second to shoot a brave 71. 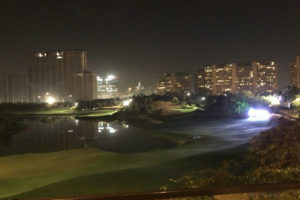 Sharma came up with five birdies and two bogeys between the fifth and 18th to close the day with a respectable score. “I should have done way better on the front nine, which is better for scoring. But a double on second and a bogey on Par-5 eighth messed up things, but I played well on back nine. I need a quick and good start on Sunday to make a charge and see how far I can get,” he said. 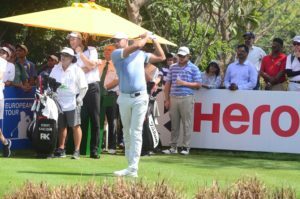 Suri playing just his second event of the season after surgery on an abdominal hernia has showed no signs of rust and was making serene progress until his stumble on the 18th. He birdied first and second and then again eighth and ninth, but in between dropped shots on third and seventh. There were birdies on 10th and 15th, but also a bogey on 14th and a double on 18th.